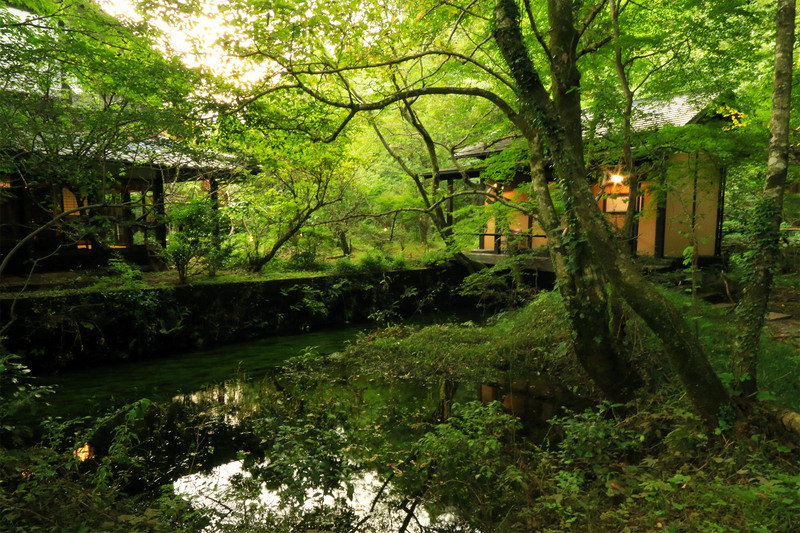 We would like you to experience a relaxing time among the rich nature of Aso. 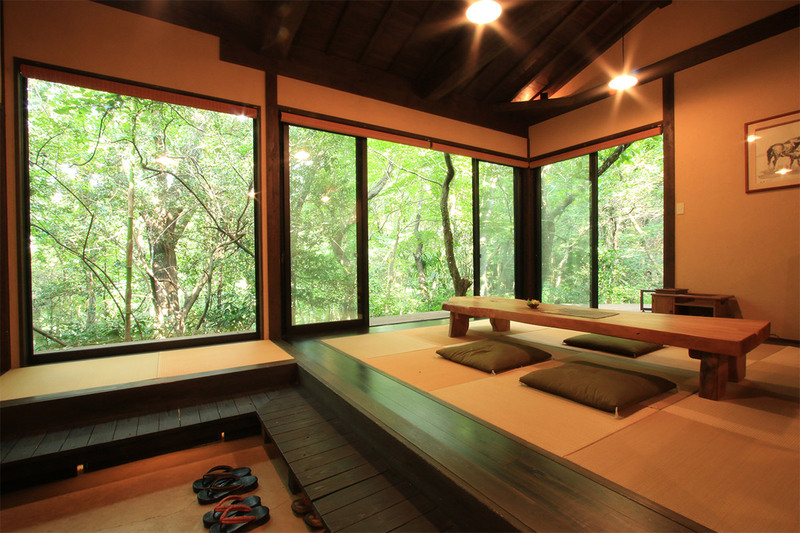 spend a soothing timehere to rest your mind and body at a relaxed pace while experiencing nature. You can enjoy your meals in the evening and morning in our creative cuisine Ichinokawa restaurant. 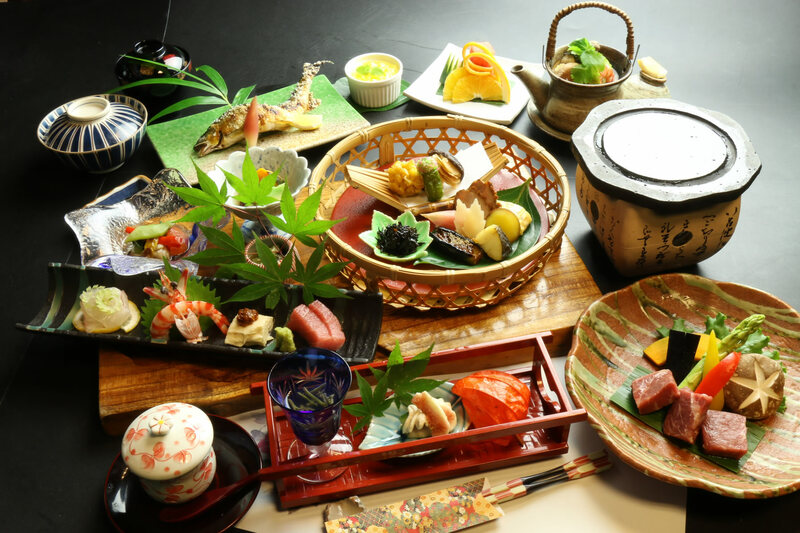 We will serve you creative kaiseki (course meal) cuisine by a chef who studied in Gion in Kyoto. Please enjoy our seasonal dishes made with a commitment to using local ingredients. The grounds of our inn are truly a forest. You can hear the murmuring of the river as it flows beside you together with the cries of birds and insects. This forest grows thick with the trees of nature (e.g. mountain chestnuts). Wild animals such as deer and tanuki (raccoon dogs) also visit from time to time. 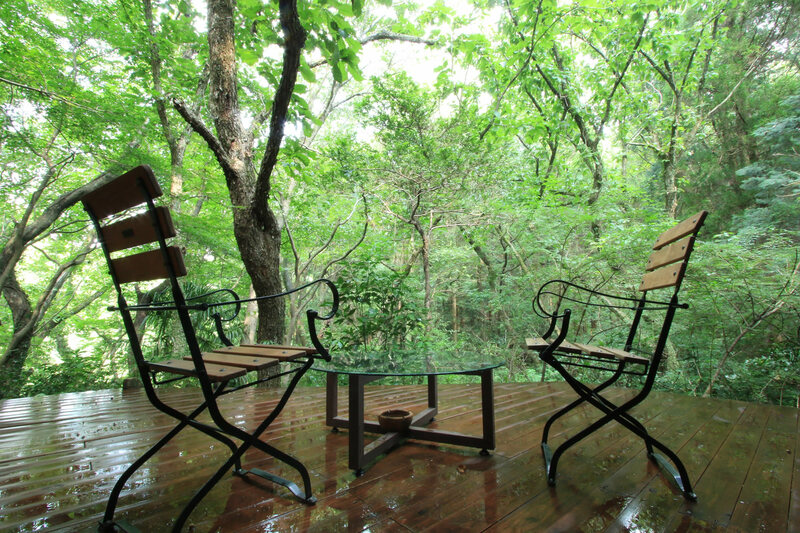 You will find our two accommodation buildings when you go into the approximately 26,500 square meter forest here. These accommodation buildings are separated from each other. This means you can spend your time in private. This is a room with the flow of the river directly beneath you when you go out onto the terrace. 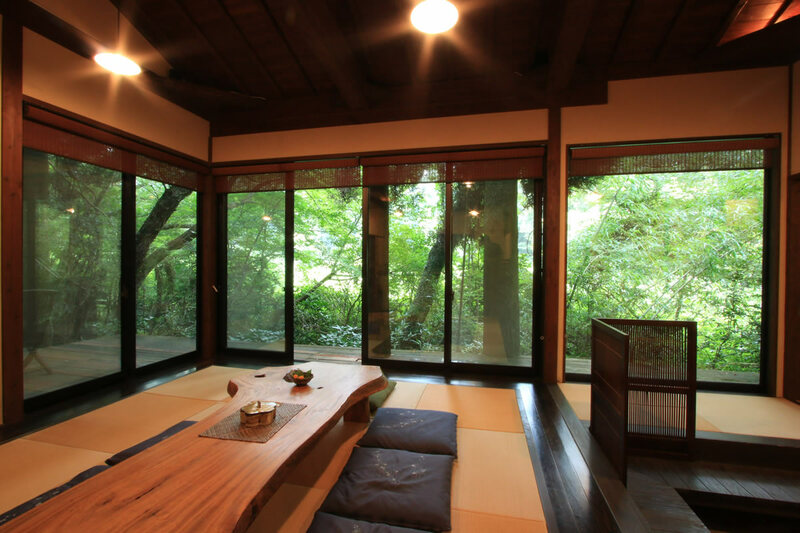 You can pass the time in this room while listening to the murmuring of the stream as it soothes your soul. This is a room located at the back of the forest away from the daily bustle. This means you can enjoy a luxurious time spent leisurely in a quiet space here. 当宿は「宿泊予約・観光地検索サイト宿さがし.com」に加盟しています。 © 2016 Liberty. All Rights Reserved.